Nepal’s relations with India and China are of great importance. The two neighbors have emerged as engines of global growth, and each has considerable economic clout and political influence. While the development of China and India is a huge opportunity for Nepal, it has also added new dynamics in traditional relations, which can’t but be influenced by evolving global strategic scenario. Along with economic powerhouses next door, others that figure prominently in Nepal’s foreign policy include the likes of the United States, the United Kingdom, the European Union and the United Nations. There is a big circle of friends and well-wishers in international community with whom Nepal remains constructively engaged and whose goodwill and cooperation it enjoys. While Nepal values such friendship and cooperation, it also recognizes that such friendship and cooperation has to be viewed in the larger geostrategic landscape. India is Nepal’s most important neighbor with which it shares an open border. The unique bilateral relations span an extensive web of ecological, social, cultural, economic and religious bonds. A country of great diversity, India shines as the largest democracy in the world. The resilience and maturity of its democratic institutions are a source of its strength. India has witnessed a great economic transformation in post-Cold War era. It is already a superpower in information technology, with immense capacity for technological innovation, world-class academic institutions and dynamic human capital that enhance its profile in Asia and beyond. Its economic influence is increasing and its diplomatic assertiveness at regional and global forums growing. The US describes its relations with India as “one of the defining partnerships of the 21st century”. President Obama calls India an indispensible partner. He has endorsed India’s aspiration for permanent seat at the UN Security Council.Likewise, the speed, scale and reach of China’s rise have been without precedent in modern history. Its economic transformation has been the biggest success of the twentieth century. China was able to lift 660 million people out of poverty in just one generation. It has used its economic strength to widen the circle of its friends, and to create sound infrastructure, modernize its defense and remain proactive in diplomacy. China has become a major power with interests across the globe, as exemplified by its growing presence and assertiveness in Africa, Latin America and Southeast Asia. It is a trading superpower, the world’s largest energy consumer and already the second largest global economy after the US. China has the largest foreign exchange reserve and has the world’s largest number of millionaires and billionaires, after the US. China’s One Belt One Road (OBOR) initiative connects 60 countries from Asia to Europe. This makes China a major actor on world stage. Chinese President Xi Jinping has put forward the “Chinese dream of the great rejuvenation” to mark two important centenaries: centenary of the founding of the Chinese Communist Party (in 2021) and the party’s ascension to power (in 2049). China aims to be a “modern socialist country that is prosperous, strong, democratic, culturally advanced and harmonious.” Chinese per capita GDP is expected to reach US $60,000 by 2050. Washington hence calls China “the other global power” and describes its relationship with it as “difficult, complex, and unpredictable”. Taken together, these facts put Nepal’s neighbors on the pedestal of superpowers and make Nepal’s neighborhood the focal point of global economy and politics. The global attention on India and China has become a defining feature of 21st-century international relations characterized by growing economic interdependence, and at the same time by heightened strategic ambiguity and fear. This puts Nepal’s geopolitics on global radar. 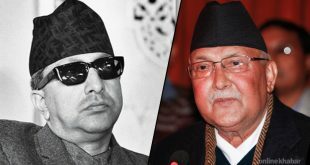 Nepal is a country that remains embroiled in interminable political debates of federalism, republicanism and secularism, even after the promulgation of its constitution in September 2015. Absence of peace and stability has deprived Nepal of the opportunity to leverage its strategic location, rich natural resources and soft power deriving from cultural and social values. A least developed and landlocked Nepal is, paradoxically, rich in human and natural resources. 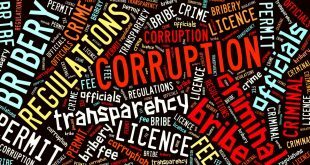 But the foundations of its national power continue to erode amidst dysfunctional democratic institutions. While Nepal’s neighbors need its total support and cooperation as they move towards great power status, it is important that our neighbors support Nepal’s independence, sovereignty and territorial integrity. Nepal’s objectives of peace, stability, democracy and development are not inimical to the interests of India and China. Nepal needs to carefully understand emerging dynamics in the neighborhood and beyond. Kathmandu should also offer credible assurance that Nepal is fully vigilant and watchful against infiltration of elements that are inimical to their interests. China understands Indian sensitivity in Nepal and counsels Kathmandu “to be friendly with India without being hostile to China”. As a country that has enduring strategic importance to its neighbors, the real test of Nepal’s foreign policy is to maintain balanced diplomacy with full recognition of ground realities, with the ultimate goal of preserving its independence, sovereignty and promotion of economic development. There are powers, besides our neighbors, working in Nepal. Ignoring them is bound to invite troubles for the country and the people. Nepal must make it clear that it cannot overlook geography, and cannot go with those countries against India or China. 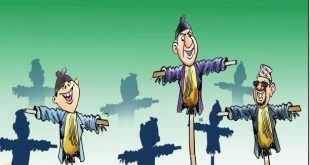 In the context of growing erosion of state capacity, lack of strong democratic institutions and economic stagnation, there continue to be destabilizing elements that want to make Nepal a theater for ugly geopolitical contest. Unfolding security situation in South Asia exhibits present ambiguity, not clarity. Growing extremism, jihadist terrorism and transnational challenges are matters of common concern. Cooperation and competition characterize Sino-Indian relations. China believes that the ‘Asian century’ will be realized only if China and India live in harmony and identify common development goals. Nepal needs to closely and carefully assess emerging global geopolitical trends—growing cooperation between New Delhi and Beijing, shifting relations between India and the US, America’s Asia rebalancing. Nepal should understand their implications on the ongoing process of its democratic transformation. This is an extraordinary situation; routine approaches won’t work. It is time to attach highest priority to its relations with its neighbors, home to a combined 2.5 billion, a huge market for Nepal. President Xi Jinping told Prime Minister Narendra Modi on July 14, 2014: “When India and China meet, whole world watches”. America chose to avoid a war with Russia for the sake of Ukraine. President Obama has been quoted as saying: “If I wanted to invade Canada or Mexico, no one could do much about it.” This kind of cool-headed analysis brings ground realities to the fore. We need to understand that what is happening in Nepal is very much part of a larger strategic game.